It’s a clear alternative to braces!!! 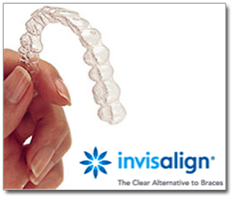 Invisalign uses a series of aligners that are custom-fitted for your teeth. The clear almost invisible aligners gradually reposition, move your teeth to a smile you will be so proud of. • You can remove your aligners to eat, brush and floss. • Replace aligners every two weeks. • Your teeth move slowly with every change of aligner. Invisalign aligners are clear, people won’t even notice that you’re wearing them. Invisalign is removable. Unlike braces, you have the flexibility to eat and drink what you want during treatment by simply removing the aligners. Unlike braces, there are no metal brackets or wires. Invisalign also allows you to view your virtual results and treatment plan before you start so you can see how your teeth will look when your treatment is complete. Invisalign aligners are made of a thermoplastic material that are custom-made to move your teeth in a particular sequence. How often should I visit my doctor during the Invisalign treatment? Visits depend on the case, but it is recommended once every four weeks. 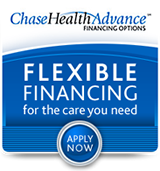 These visits are just to make sure that your treatment is progressing as scheduled.